If your car is making noises that you suspect are coming from the transmission, don’t wait to figure out the source of the noise. Noise in your car is always potentially the sound of damage being done: grinding, scraping, or banging of parts that wear your car down and lead to the need for more expensive repairs later on. This page gives some hints about where to start when listening for potential problems in your transmission. If you follow these steps, you will come in with more information and a better description of the problem, so we can track it down sooner and get you back on the road faster. 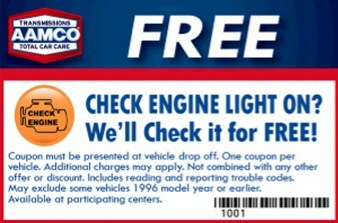 (972) 633-1590 FREE or email AAMCO Transmission and Auto Repair of Plano to schedule an expert diagnostic of your vehicle. Constant noise or whine at all speeds: Likely low fluid level or damaged fluid. May also be accompanied by gear slipping. Correct with a transmission fluid change. Pump problems may be to blame if fluid can be ruled out. Noise that stops when car is in neutral or park: Likely the torque converter. Noise that stops in one gear: Likely due to transmission gear problems—it stops when gears all turn together, typically third gear. Noise that changes pitch when shifting: Likely due to transmission parts connected to the turbine shaft. Noise that increases pitch with vehicle speed: Likely due to problems with the transmission’s final drive—the output to the wheels. These noises are only a small part of the potential problems with a transmission, but if you can isolate any of them, it can be very helpful for us. Noise when clutch engaged but transmission in neutral: Likely related to input shaft or bearings. It’s important to note that manual transmissions are naturally noisier, and some, especially older ones, may have noises that are difficult or impossible to eliminate. 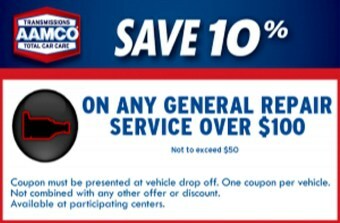 At AAMCO Transmission and Auto Repair of Plano, we will never recommend a transmission repair until we know exactly what is wrong with your car, and are prepared to back repairs with our nationwide warranty—the strongest in the business. If you have a noisy transmission, don’t let progressive damage take its toll—get your car fixed today. 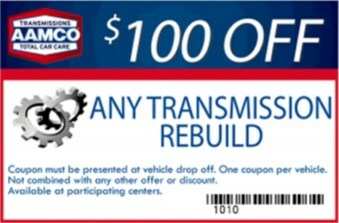 Please contact AAMCO Transmission and Auto Repair of Plano today for an appointment.